Two recent scaffolding-related prosecutions in as many weeks have once again highlighted how dangerous and costly working unsafely at height can be. The cases themselves are shocking and have been publicised by the Health and Safety Executive (HSE). While I believe it’s right to fine companies for failing to meet Working at Height requirements, I’m more interested in prevention – helping businesses across the UK to know what they need to do to work safely at height, avoiding the need for prosecution. That’s where the NASC guidance comes in. The NASC produces a wide range of health & safety, technical and contractual guidance covering a multitude of issues and scenarios. The vast majority of these documents are available to download for free from the NASC website. I’d encourage scaffolding contractors and their clients to utilise this free resource, if they’re not already doing so. In the first recent court case, a collapsed scaffold landed on a single storey roof adjacent to a nursery playground. An HSE investigation found the scaffolding was not designed or installed to withstand foreseeable loads. It was not tied to the adjacent building, nor did it have adequate buttressing or rakes and was essentially a freestanding structure. We’d recommend contractors use TG20:13 Guide to Good Practice for Tube and Fitting Scaffolding to produce a compliant scaffold design. Furthermore, when working in close proximity to public spaces, we’d encourage contractors to make use of SG34:17 Guidance on Protection of the Public, which is available here. 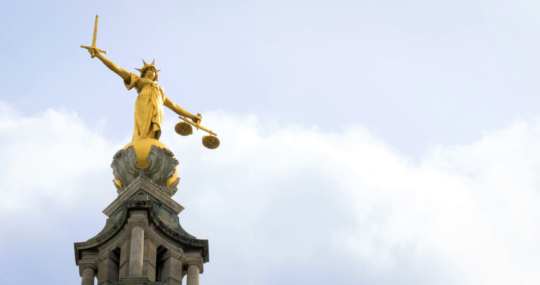 The second court case saw unsecured boards added to the working platform of a five-metre-high tower scaffold. Whilst moving from one part of the structure to another, a welder stepped on one of the unsecured boards, which spun around and caused him to fall five metres onto the concrete floor below. He suffered a broken collarbone, fractured ribs and a head injury and was hospitalised for 10 days. In this example, the welding contractor should have referred to SG36:18 Unauthorised Modifications to Scaffolds, which can be found here. The NASC aims to update each guidance document at least every five years – ensuring they are as relevant and fit-for-purpose as possible – and adds to its portfolio as and when required. This ongoing endeavour is only possible thanks to the hard work and dedication of the NASC’s various committees, whose members give up their time and expertise free of charge. I’d recommend all contractors take five minutes to go through the NASC online shop and make a note of the titles available. Hopefully, they will come in handy one day; helping to keep workers safe at height and companies out of court. Scaffolders working at Fawley Refinery received CPD training on site as part of a pilot CISRS scheme. The operatives underwent the two-day training at the Hampshire oil refinery earlier this week. The pilot scheme was organised by CISRS and run by AIS Training. It came about following a request from Altrad Cape made during an Access and Scaffolding Industry Training Organisation (ASITO) committee meeting. 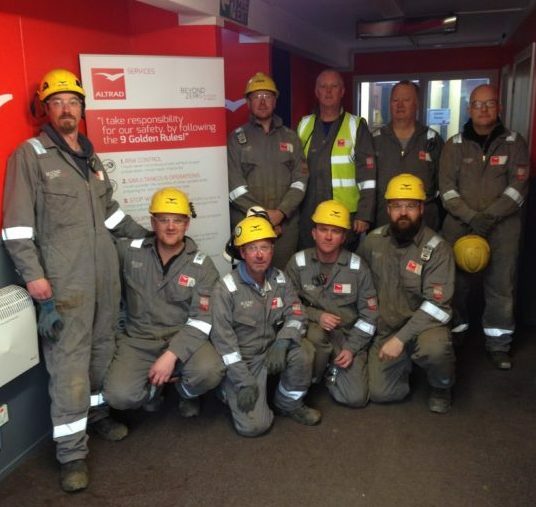 With no approved training provider in the local area and high demand for the course from the hundreds of Altrad Cape and Bilfinger scaffolders working on the refinery, CISRS sought to bring the training to the site rather than require operatives to travel to different centres across the country for CPD training. David Mosley, CISRS Scheme Manager, said: “The logic is sound; why force large groups of operatives to travel far and wide for training when we can bring the training to them? The pilot CPD training course met CISRS guidelines relating to classroom and instructor training area criteria. The rules relating to the number of delegates and course duration were also consistent with existing CPD course frameworks. The course was well received by the scaffolders on site. Demand for CPD courses continues to be very high and feedback form attendees is very positive, CISRS are currently considering ways to make more courses available. The Qatari government has placed an insistence for CISRS-trained operatives in all its major construction project scaffolding tenders. The procurement announcement was made by representatives from Ashghal, the department responsible for overseeing large-scale infrastructure, buildings and public utilities developments across the country, during a visit to London. Ashghal’ s representatives Eng. 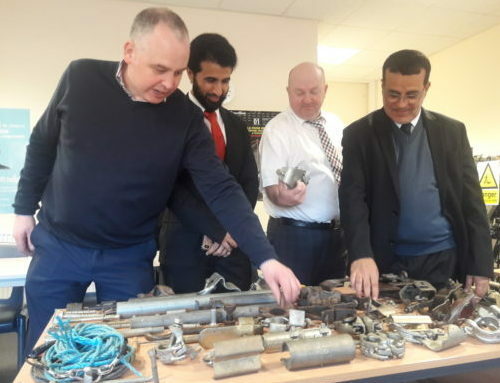 Khalid Al-Emadi, Manager of Quality and Safety Department, and Mr Hamad Al-Hajri, Head of Occupational Health and Safety Section, met with officials from CISRS and Simian Risk at the training provider’s scaffolding training centre in Waltham Forest, formerly operated by NCC. Khalid Al-Emadi, Manager of Quality and Safety Department, said: “I would like to thank Simian Risk and CISRS for inviting us to meet with them at the Waltham Forest training centre. 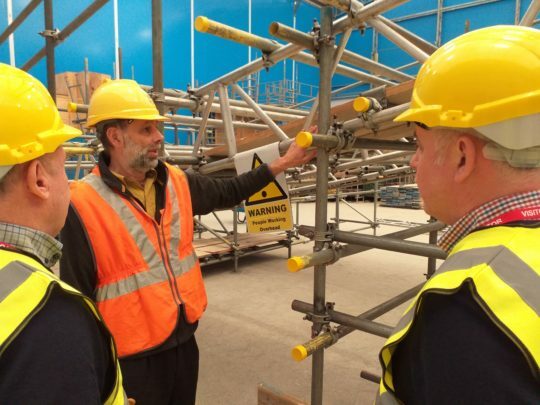 It was great to hear about how the internationally-renowned training provided to scaffolders in the UK is being rolled out across the globe via the CISRS OSTS scheme.